The following photographs are "mystery photos" within historian Brandy M. Watts Martin's collection. Each of the photographs has a question as to where it was taken, or who the individuals are. If you have any information about the photographs, please email Brandy M. Watts Martin at historian@stonyvalley.com with suggestions. 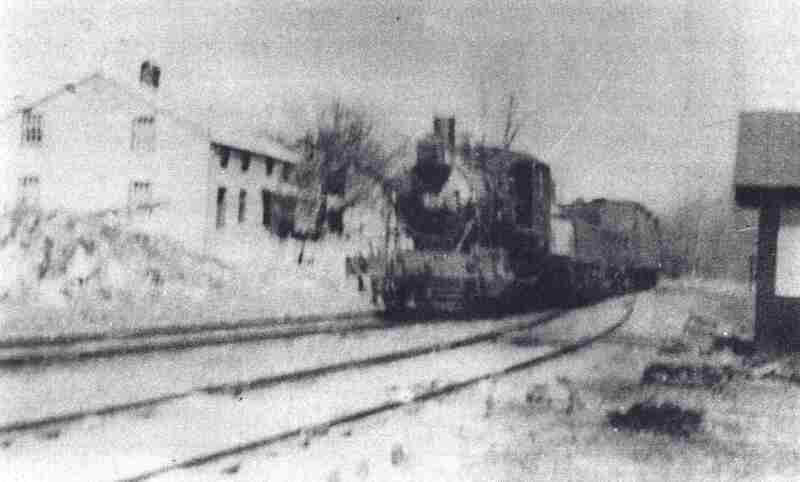 In search of location: A mystery photo of a train, long misidentified as arriving at Cold Spring in Stony Valley; however, due to the placement of buildings, this cannot be Cold Spring. This is a Philadelphia & Reading Railroad steam engine, dating from the early 1900s. There are (at least) two company houses across the tracks from a railroad building. *One individual believes this may have been taken in Outwood. In search of location: Originally identified at Gold Mine in Stony Valley during the 1920s, this layout does not appear to match that of the Gold Mine stop during the 1920s, and there is no evidence of a road crossing at this location in the photograph. 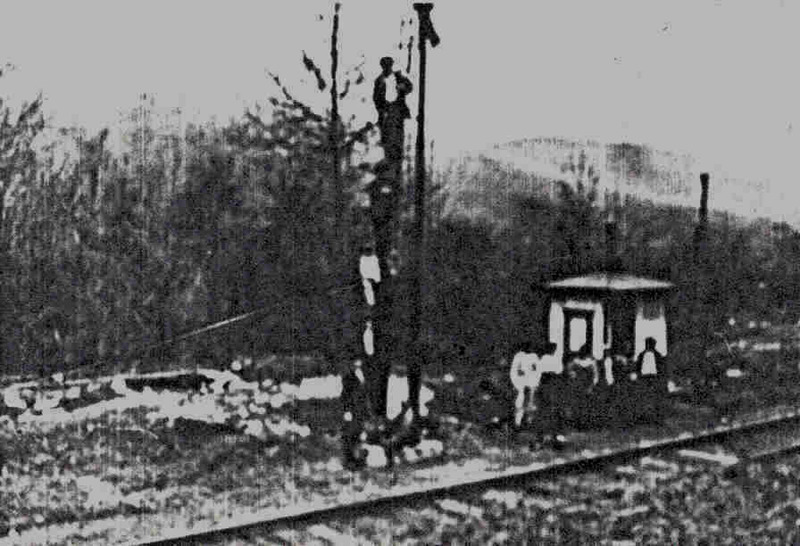 In the photograph is a semaphore and standard Philadelphia and Reading Railroad phone house, with a gap in the mountains behind. *There is suggestion that this could be Mount Eagle, or place along the L&T Branch. In search of location: This photograph was taken in 1899 by the Gotshall Family when they visited the Cold Spring Hotel; however, the exact location of this photograph at Cold Spring remains unknown. 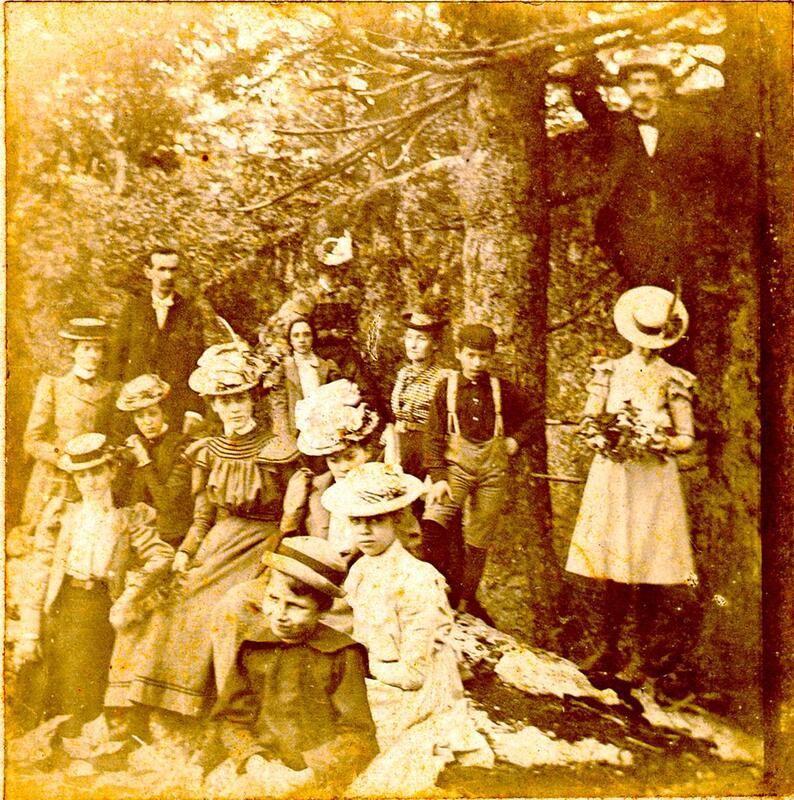 In this particular view only a portion of the Gottshall Family and their friends are shown, seemingly in front of a large boulder or stone wall. Other photographs of the Gottshall Family's trip were taken outside the old and new Cold Spring Hotel(s), the inside of the new Cold Spring Hotel's parlor, as well as of the hotel's dam (also known as Lake Comey / Dresden Lake), and in front of the Cold Spring Spring House. 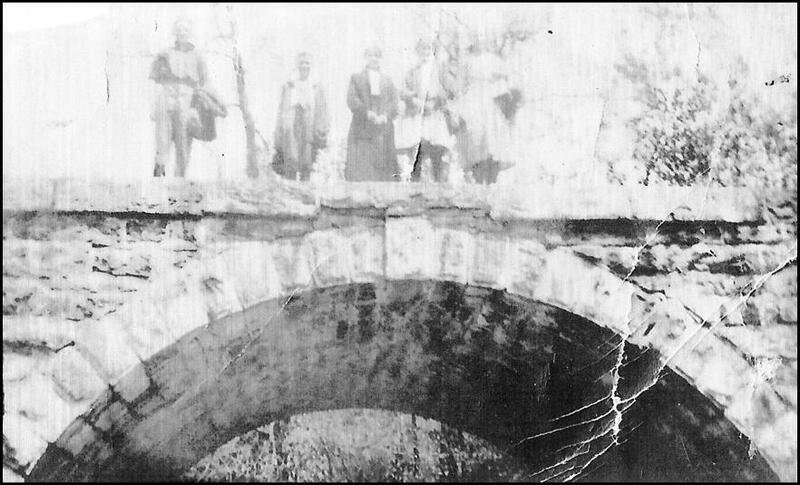 In search of identification: This photograph depicts an early view of a family atop the Rausch Gap Stone Arch Bridge in the early 1900s. 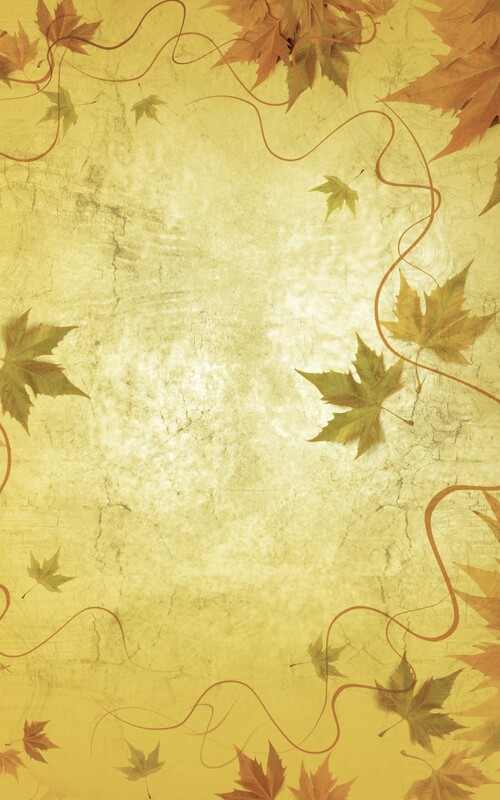 Family members names are Johnny, Harry, Mother, Mable, and Margaret, but last name is unknown. They were, perhaps, residents of neighboring Clarks Valley. In search of identification: This widely disputed photograph from the past returns. Located south of the 20th century coal mining community of Kalmia, Schuylkill County (located on the mountainside north of Outwood) this mysterious "tin can" has been on questioning minds. The individual in the photograph is approximately 5'4" in height. 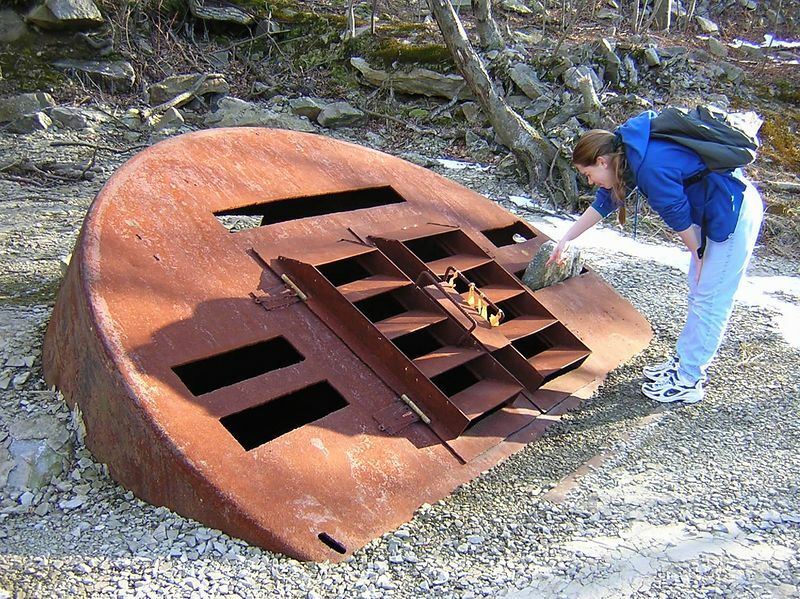 The "tin can" has been suggested to be an escape shaft or ventiliation shaft for the Kalmia Tunnel, or a bat enclosure. What's your theory?